Every homeowner wants to achieve the best price, with the least amount of stress, within their desired timescale. At Northwood, we strive to make that a reality for you. Our local property experts apply their intimate knowledge of both your area’s specific market conditions and their active database of buyers, to recommending an asking price and marketing strategy that will maximise viewing activity and the level of offers received. Be wary of agents suggesting inflated asking prices to try to secure your business. Your property could remain unsold for many months, with a lack of buyer interest resulting in you accepting a lower offer than you would have originally achieved if you had come to the market at the right price. 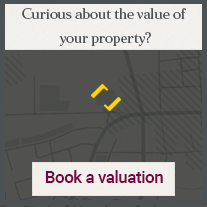 To book a valuation, you can either complete our valuation request form or get in touch with your local Northwood office. Selling a property can be a complex process. From setting the right price and promoting the property effectively, to negotiating the best offer and liaising with solicitors to ensure a steady legal process through to Completion. That's why most sellers choose to employ an estate agent, who can act on their behalf from start to finish, alleviating the stress and confusion. 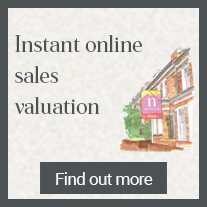 So what should you look out for when choosing an estate agent? You need to consider the reputation of the agent, and their place within the local property market. Have they been successful in selling similar properties? What are their marketing techniques? Will they ensure that your property reaches a local, regional, and national audience? Are they regulated by any professional bodies? How many staff do they have compared with the number of properties on their books? Will they accompany viewings? Will they keep you updated regularly, even after the property has been sold? Do they charge a fair fee? Are there hidden costs or restrictions in their contract? Choose the agent in whom you feel confident to achieve you the full market value by their promotion of the property, to provide you with the most comprehensive and efficient service and to offer you the best value for money in their fee. Most property marketed for sale in England and Wales is required to have an Energy Performance Certificate (EPC), which details the energy efficiency of the property. Northwood can arrange for this certificate to be produced on your behalf. Viewings are all about first impressions – so you need to make sure that property gives a good one. 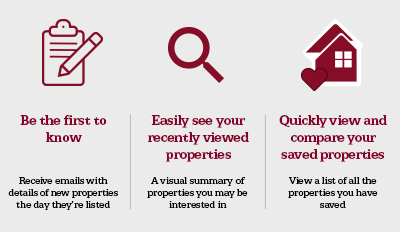 Here are some tips on how to prepare your property for viewings. The outside is the first thing the prospective buyers will see, so creating ‘kerb appeal’ is vital. This means ensuring that you have clean windows and clear paths as part of a well-maintained front. You should try to make potential buyers feel at home by ensuring that the property is a comfortable temperature, spotlessly clean and free of clutter. Keeping the lights on is also a good way to brighten up the rooms and to make them seem more spacious. Where possible, at Northwood we accompany all viewings. Our sales negotiators are trained to identify and highlight the unique features of your property that will appeal to the viewer that they are showing around. Whether you accept or reject an offer is your choice. Aside from the price offered, you should also consider other aspects, such as the financial ability of the buyer to proceed, whether they are in a chain, their desired timescale and whether they have placed any conditions on the offer. If the initial offer is rejected, the prospective buyer may come back with further offers and negotiations will continue. Your conveyancer will send the buyer’s conveyancer a draft contract, setting out the particulars of the sale, such as the agreed selling price. At this stage, it is helpful for you to provide your conveyancer with any necessary documents to support the contract, such as what fixtures and fittings (if any) you are including in the sale and any guarantees or certificates for works you have had done to the property. 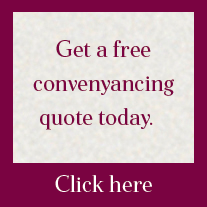 The buyer’s conveyancer will raise enquiries about the contract and documents, which you and your conveyancer will need to provide truthful answers to. The buyer's mortgage application and offer. The survey date and its outcome. Status of the legal process. The rest of the chain where applicable. Once the buyer’s mortgage offer is received, the buyer’s conveyancer is satisfied with the responses to the enquiries raised and a date for completion is agreed by all parties, we can look to exchange contracts. The contract must be signed by both buyer and seller and the buyer must pay a non-refundable deposit via their conveyancer to your conveyancer. The deposit is usually 10% of the purchase price. Once contracts are exchanged, the transaction becomes legally binding. Completion, put simply, is ‘Moving Day’. The outstanding monies (from the lender, if applicable or from the buyer directly) will be transferred to your conveyancer, who will deduct any fees, redeem your outstanding mortgage (if applicable) and transfer the balance to you. You will be required to vacate the property and to hand over all the keys to Northwood. We shall then telephone the new owner to collect them. Congratulations - you have sold your property! Make sure you take metre readings and redirect your post; you can use our change of address checklist to make sure everyone whose important knows that you have moved. The above is only meant as a guide, and no two sales are the same. If you have any specific questions about selling your home, or to arrange a property valuation, get in touch with your local Northwood office.